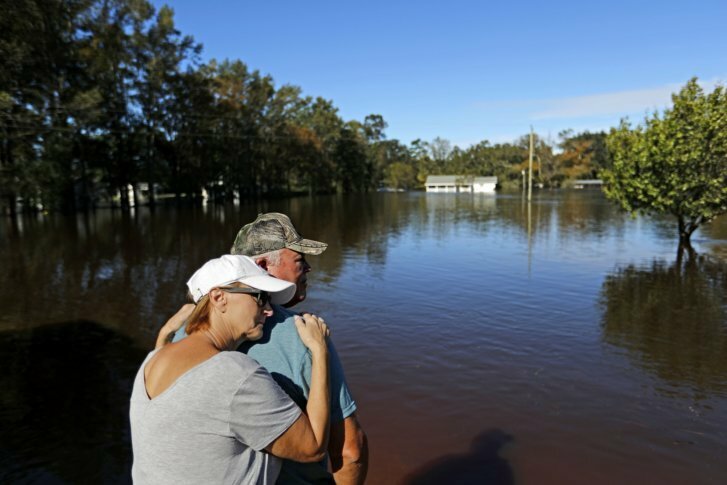 Hundreds of people waited in long lines for water and other essentials Tuesday in Wilmington, still mostly cut off by high water days after Hurricane Florence unleashed epic floods, and North Carolina's governor pleaded with more than 10,000 evacuees around the state not to return home yet. Waggoner reported from Raleigh, North Carolina. 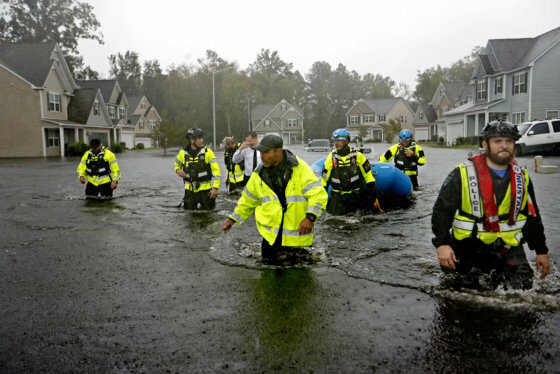 AP photographer Gerry Broome in Lumberton, North Carolina; Gary Robertson in Raleigh; Alex Derosier in Fayetteville, North Carolina; and Jay Reeves in Atlanta contributed to this report. This story has been corrected to show the death toll in North Carolina is 27, not 29.